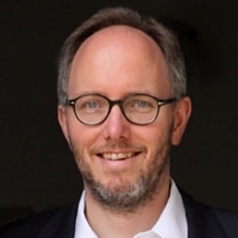 Erik Jones is Director of European and Eurasian Studies and Professor of European Studies and International Political Economy at the Paul H. Nitze School of Advanced International Studies of the Johns Hopkins University. He is also Senior Research Fellow at Nuffield College in Oxford, United Kingdom. Jones is author of The Politics of Economic and Monetary Union (2002), Economic Adjustment and Political Transformation in Small States (2008), and, together with Dana Allin, Weary Policeman: American Power in an Age of Austerity (2012). His most recent book is a collection of short essays called The Year the European Crisis Ended (2014). He is editor or co-editor of more than twenty books or special issues of journals on topics related to European politics and political economy including The Oxford Handbook of the European Union (2012) and The Oxford Handbook of Italian Politics (2015). Professor Jones teaches on topics in international and comparative political economy with a particular focus on Europe and the transatlantic relationship.